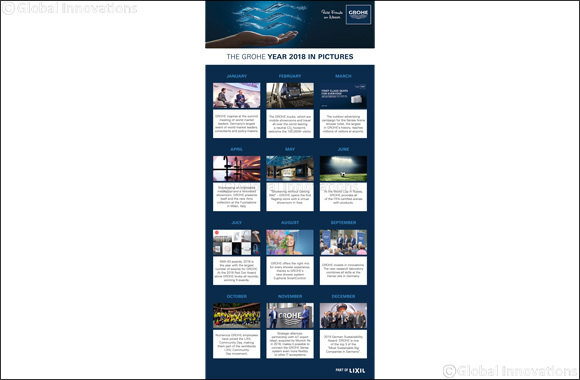 Customers in 33 countries worldwide were excited about GROHE's Truck Tour which celebrated its 100,000th visitor in March. Further international highlights: The new Atrio faucet collection was creatively presented in an art installation during its launch in the renovated GROHE showroom at the Milan Design Week and inspired customers, partners and the media alike. In Asia, GROHE fascinated visitors of the flagship store in Singapore with a new virtual showroom, featuring the motto 'Showering Without Getting Wet'. Even the World Cup in Russia took place with GROHE’s participation: All FIFA-certified arenas were equipped with GROHE products.